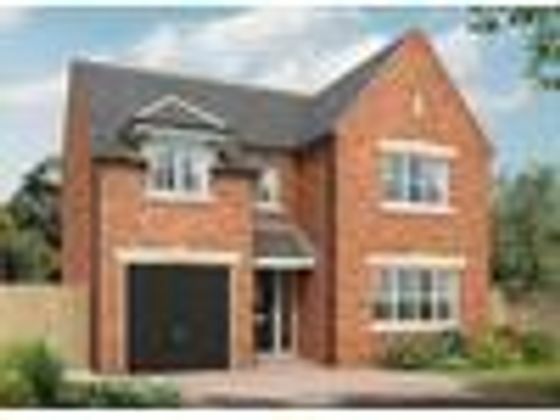 The Acacia The Acacia is a superb detached family home with a contemporary open-plan kitchen, dining and family area, and four spacious bedrooms to the upper floor. Pine Walk - About the development: Pine Walk is a development of new homes in Guisborough, a picturesque market town that is rich in history and benefits from excellent commuter links to Redcar and Middlesbrough. These appealing 2,3 and 4-bedroom homes will be of interest to first-time buyers and families, as well as professionals working in the region Shopping and Dining Retail options are readily accessible to residents of Pine Walk with a mixture of independent and high-street stores, along with several supermarkets and local businesses available in the area. The local markets enjoy a 600-year history, evolving over time, but always remaining a popular regional event. Held three times a week along the refurbished cobbles of Westgate, visitors will find seasonal produce, clothes, flower stalls and hand-made delicacies. Middlesbrough showcases an extensive mix of retail options, comprising large department stores such as the award-winning Psyche, vintage shops, bespoke labels and familiar chains. Notable places for retail therapy include Linthorpe and Newport Roads, Captain Cook Square and the Cleveland Centre. For dining out in Guisborough, residents can choose from a charming selection of eateries, inclusive of traditional pubs, coffee houses and tearooms, along with popular restaurants and bistros offering cuisines spanning English, Indian, Italian and French influences. Complementing this is the selection on offer in nearby Middlesbrough, with venues in and around the town centre comprising high street chains, independent restaurants, traditional pubs and lively bars. Leisure Boasting an idyllic location, on the doorstep of the picturesque North York Moors National Park, Guisborough provides residents with plenty of walking trails and outdoor leisure pursuits in one of the largest heathland moors in England. The park offers 70 miles of cycling trails, magical moorland, towering cliff coastline and archaeological discoveries to be explored within its vast boundaries. Active residents will enjoy the facilities provided at the Guisborough Swimming Pool and Guisborough Leisure Centre, which has squash courts, a climbing wall, a gym, several sports courts and trampolining. Gisborough Hall Ho a 19th-century county house set in stunning grounds with views of the Cleveland Hills, offers spa and fitness facilities and is located less than 3 miles from Pine Walk. Nearby Middlesbrough presents a number of attractions to satisfy a range of interests. The Dorman Museum has eight galleries and three exhibition spaces with hands-on activities, touring events and a diverse collection of artworks. Prissick Plaza Skate Park is a well-designed space for skaters and BMX riders to test their skills. While Middlesbrough Town Hall, a Grade II listed Victorian concert venue, plays host to a variety of productions including theatre, music, comedy and ballet to its 1,300 capacity audience. Education Local schools in the vicinity of Pine Walk cater for infant through to higher education. Nursery and primary services are offered at both Galley Hill Primary School, which is a 10-minute walk from the development and Chalonor Primary School, 1.8 miles away. Secondary students have several options including Nunthorpe Academy, which is a five-minute drive, as is the Laurence Jackson School. Post-16 education is available at Prior Pursglove College, located six minutes away by car. Students pursuing further education in undergraduate or postgraduate study will find the award-winning Teeside University around 25 minutes? drive from Pine Walk, while the collegiate University of Durham is situated around 45-minutes away by car. Transport Residents of these new homes in North Yorkshire are well positioned to benefit from the good local road connections. Access to the A66 provides journeys to Stockton-on-Tees and Darlington, in around half an hour. Middlesborough is just 8.1 miles by car via the A171, with Leeds accessible in just under 80 minutes on the A1(M). Nunthorpe Railway Station serves Guisborough and is located only 3.5 miles away from Pine Walk. It provides regular services to the local area and connects with national lines to give commuters access to metropolitan destinations. Services to Middlesbrough take just 15 minutes and depart hourly, with onward travel to Darlington and Newcastle taking around 45 minutes and 90 minutes respectively. Marketing Suite Please call to arrange a viewing. Property advert Ref 4234351 - Is a property advert for marketing purposes only, the information has been supplied by the owner, estate agent or property portal and The House Shop makes no warranty as to the accuracy or completeness of the information. Furthermore we have no control over the adverts content. This property advertisement does not constitute property particulars. Please contact the advertiser to obtain any information regarding The Energy Performance Certificate regarding homes in England and Wales or Home Report for residential property in Scotland.